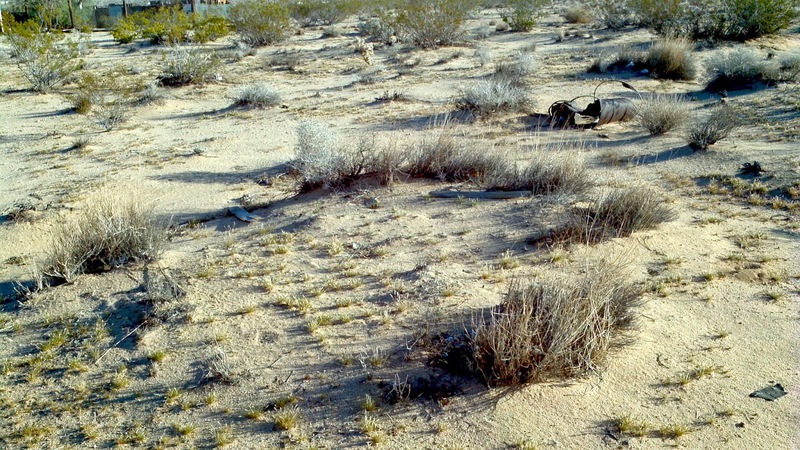 Saturn Sands | Life on the Mojave: Another clonal ring? I've seen clonal rings with creosote and ephedra, but it looks like this is one made of big galleta grass, hilaria rigida. I can't find any anything online about this and may have hit one of those rare walls where nothing has been written on a topic. Cloning is a successful method of reproduction in the high desert so I'm not surprised to see it replicated in different species. If this is a clonal ring this organism could be hundreds, if not thousands, of years old. We don't know very much about the desert, popularly - in the realm where our decisions are made. We may be blading and scraping away our legacy and not know it.